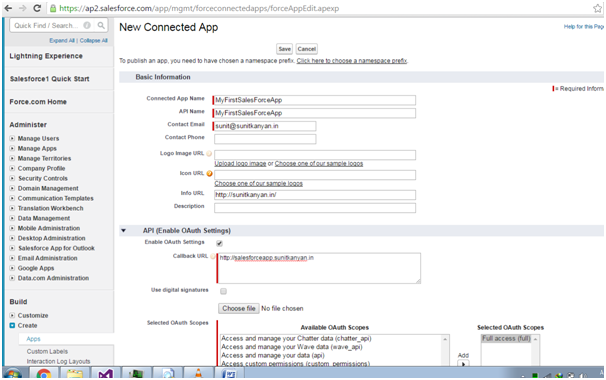 This article is all about the setting up force.com account so that can interact thought salesforce’s api in outside applications. 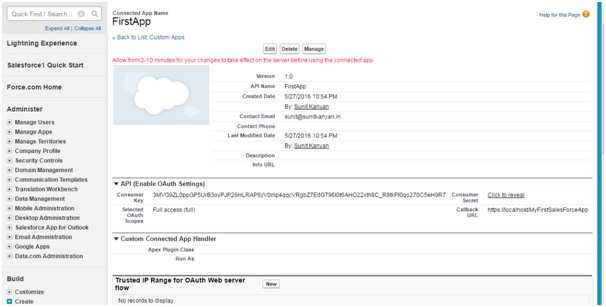 Part II of this article will perform the CRUD operation by asp.net web api for contacts. 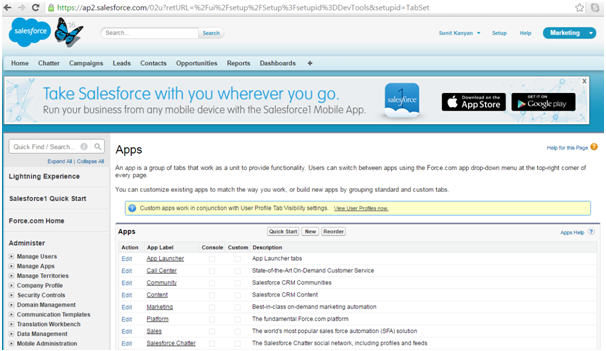 · Signup for sales force developer account. · Create a connected app. 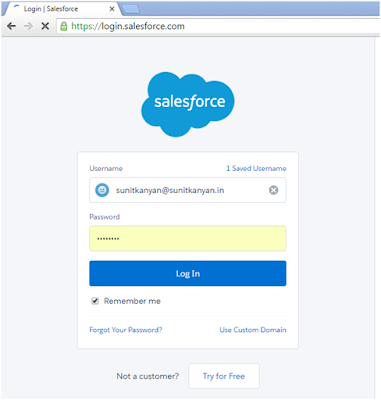 Signup for sales force developer account:- Register on force.com and get a free 30 days account. 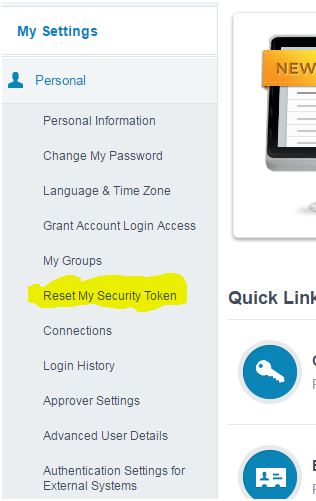 Set/Reset Security token:- Security token is required along with user password while interacting with api. Navigate to [Setup] > Apps > Connected app and click for new connected app. Fill the required detail to get key/secret. 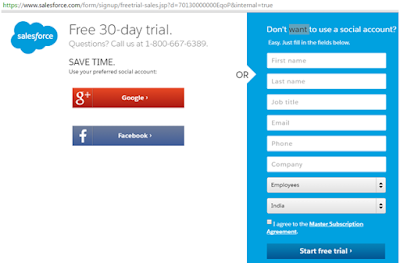 click add for new connected app and fill all required details. It will accept only secure callback url. 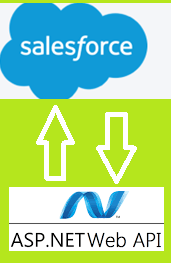 Navigate to [Setup] > Apps > Connected app >Your connected app (say MyFirstSalesForceApp) and find key and secret, click on reveal to see consumer secret. Now got salesforce ac username, password, security token, consumer key and consumer secret so can go for development of ASP.NET Web /api.